I have always always been a fan of polished nails. I may not wear many dresses or skirts or much makeup, but having my nails done has always been where my girlie-ness shines. I just feel put together when my nails are painted. So, when I heard there was a new nail polish that applies dry to the touch and presses on like a sticker, I was in y’all. Hooked. YES PLEASE to an easy manicure that takes less than 10 minutes. I kept raving about them so much (you may have seen them on my IG stories) that Shana encouraged me to do this review here and share the love. 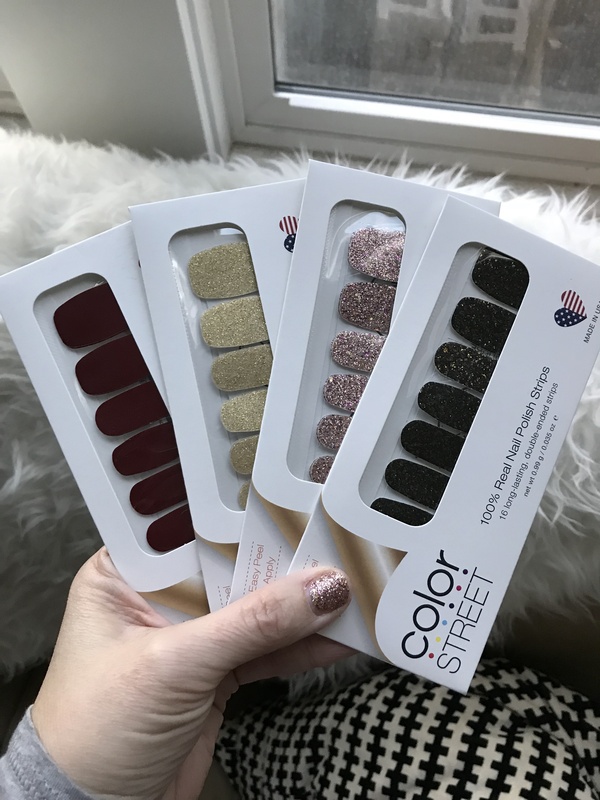 If you haven’t heard of Color Street yet, I am excited for you because your journey to having pretty nails just got way easier. 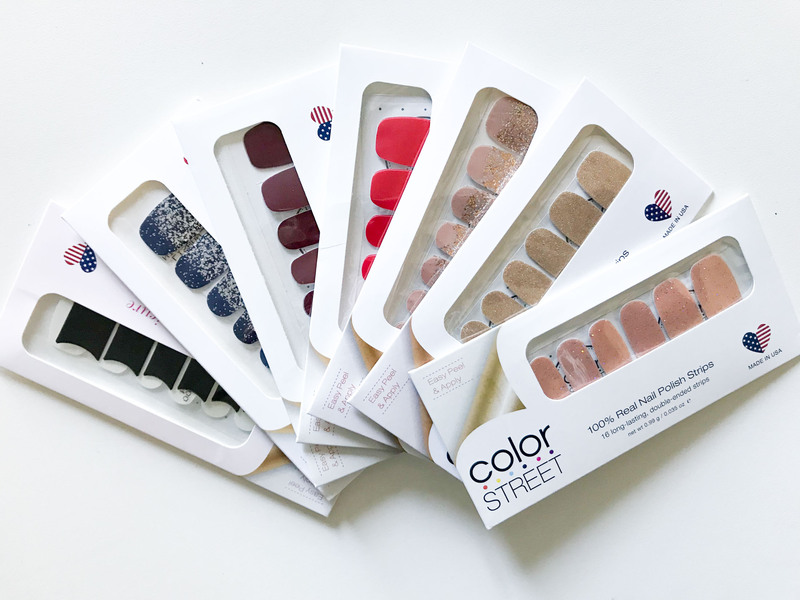 Color Street is a brand of 100% nail polish strips that apply with no heat and no special tools, and are dry-to-the-touch immediately. They last up to two weeks and respond to regular nail polish remover. You can use them on your fingers and your toes. Each set has 16 double-ended strips and ranges from $11-$14. Such a deal for an easy, smudge-free mani, you guys. 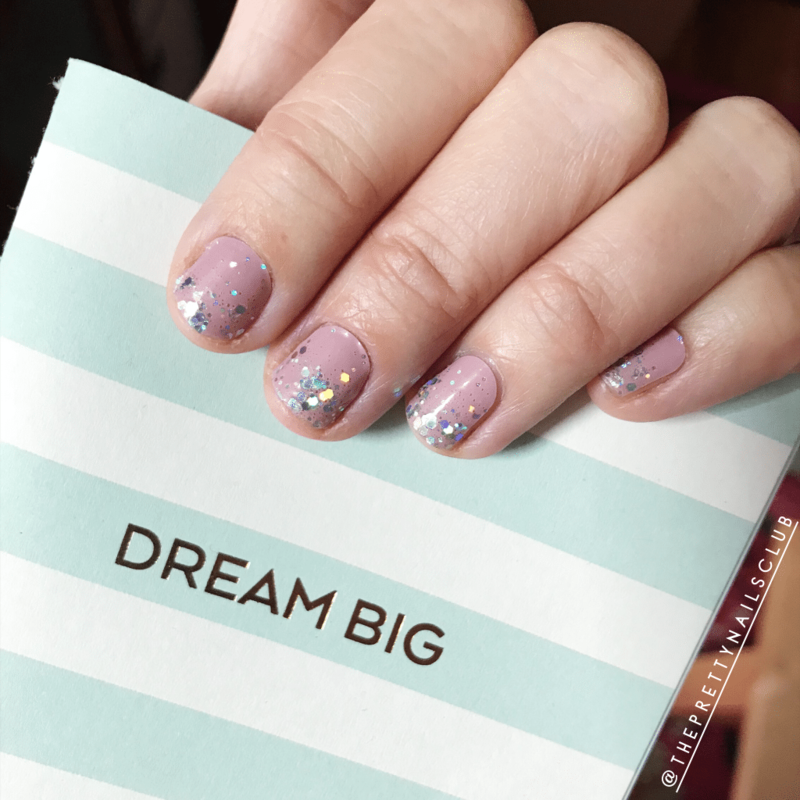 They offer a wide range of solid colors, glitters, nail art and French tips, and I’ll say the new fall shades they recently released are on point. All of these above are manicures I’ve done over the last few months. 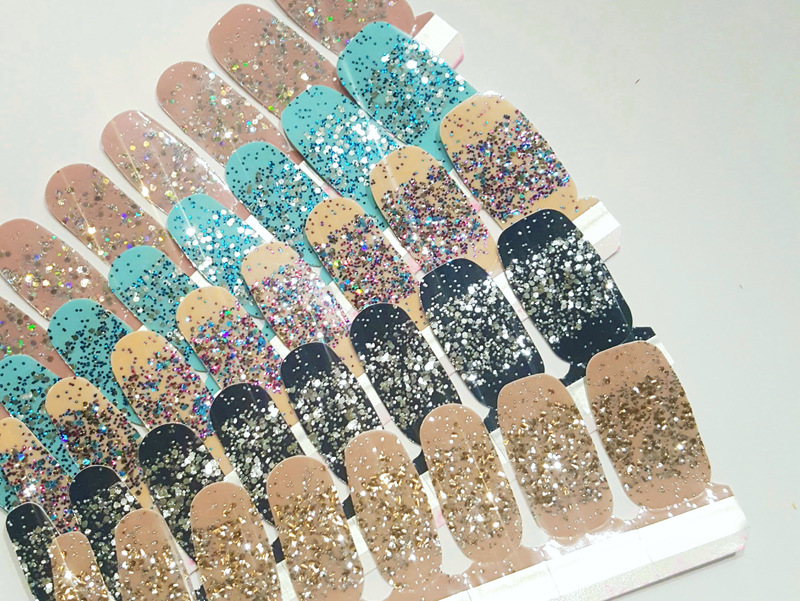 You can see that it’s super-easy to do some custom nail art with these babies, too! Since they’re in strip form you can simply cut them into different shapes. Color Street is a game changer when it comes to the nail polish world, which hasn’t seen a major technological update since the early 1900’s when the nail polish bottle was created. Other nail stickers have come out, but these are actual polish. It’s an amazing technology because it solves so many problems with the traditional liquid format. You know I love problem-solvers, in fashion and beauty. I love that I can stop mid-manicure and make Sienna a snack or let Camper outside. I used to get gel manicures often, but the cost, time and damage to my nails made it less-than-fun for me. It became more of a chore. These, however, are so fun, especially since they are coming out with new shades now monthly! 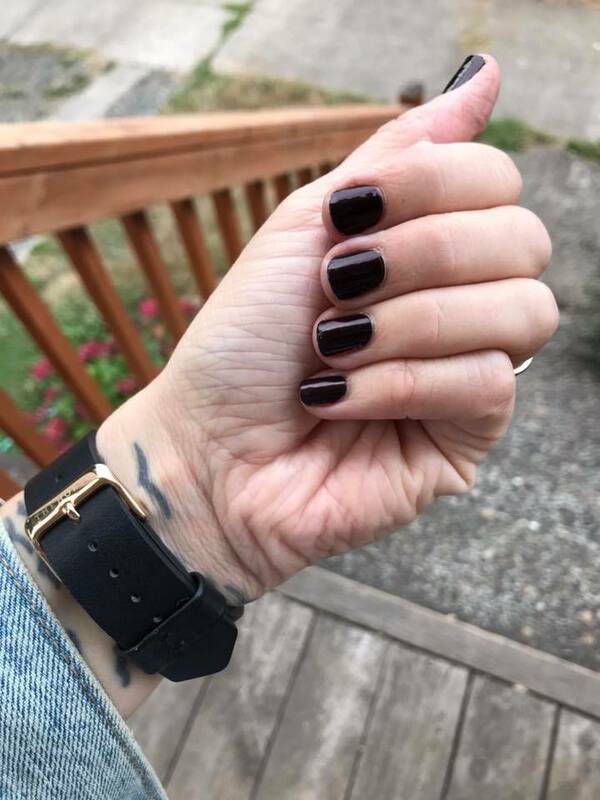 If you have tried these before but haven’t checked out the styles in a bit, Color Street has really upped the choices for fall by bringing on a former executive at OPI and consulting a fashion color house for fall trends. Word. Some of my favorite fall shades are Made in Milan (the one above), Manchester Mauve and Only In Vegas. And the new Halloween collection is super-fun, too! I’m digging the glow in the dark sets! Have clean nails with no lotion or oils on them before applying. The nail strips include little alcohol wipes to prep your nails and help with adhesion. Apply from pinky to thumb, in that order, using your thumbnail to remove the excess strip on the end. You can get two nails out of each strip! I find I only come back and file a bit at the end to clean up edges. A cuticle stick also works well to remove excess. For the longest lasting results, apply right before bed. There’s no dry time, so you can pop right into bed without fear of smudging them, but then the strips have overnight to completely set. The glitter styles are the most forgiving for your first application. I’d choose one of those to start with! 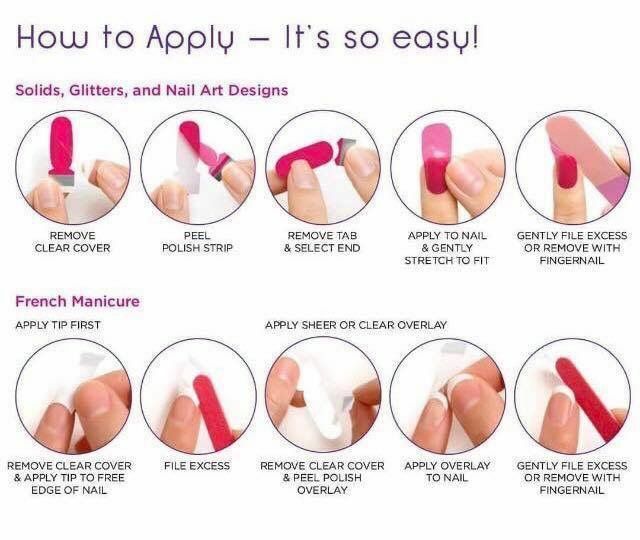 If you love the solid colors best or the nail art without glitter, consider adding the Clear As Day strips as your 4th set that you get FREE with the promotion. It really adds longevity to the solid sets. I find the glitter sets don’t need the Clear As Day. I have been LOVING this non-acetone remover for being gentle on nails, but working great on removing polish (even the glitter sets!) before applying new ones. My nails have been much healthier after switching from acetone remover to this! 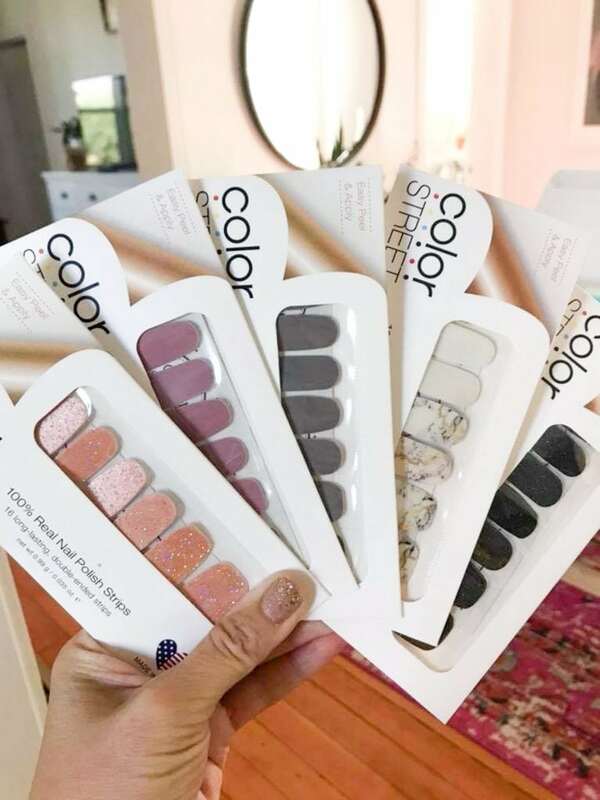 Be sure to take advantage of the Buy 3 Get 1 free deal when ordering by adding ALL 4 sets you’d like to your cart (all solids, glitters and nail art apply!) The French sets are Buy 1 Get 1 free, so add two to your cart. The discounts will automatically be applied when you add the correct number of strips! If you prefer to watch a video when you apply them, I made a quick one here. You can follow me on @theprettynailsclub too to see more fun manicure ideas using these and various specials. Hit me up there with any questions, as well! If you would like to try a 2-nail sample first, I’m happy to send you one! Click here to choose your shade and I’ll pop it in the mail for you to test out for yourself. Hope you give these a try! Here’s to pretty, easy nails! *Disclaimer: I do sell these nail strips as a side biz, and though I’ve never done or really been a fan of direct sales before, this product was so good I decided to give it a try. The only reason I decided to start that side business is because this product is THAT good, and the start-up kit was a steal. I’d recommend it regardless, but it has also been an easy, fun way to meet some amazing new friends and geek out on nail polish as a job. Ha. I have a friend who sells these and I was skeptical but they’re legit! I love them! I adore the Tokyo lights accent – definitely trying them! I’m so glad you like them! I wasn’t sure at first either, but they’re so easy! Fine* motor skills, that is. I love this blog but it is very disappointing to see y’all promoting a multi-level marketing company, especially since you are a consultant. These companies have predatory business practices and profits rely more on recruiting additional people to sell their products than actual sales of the products themselves. Just take a glance through reddit.com/r/antimlm for the many downfalls of joining and/or supporting companies such as these. I hope not to see more posts like these — it’s one thing to be sponsored by a legitimate business such as Nordstrom and quite another to be shilling an MLM product. How do they compare to Jamberries? Because I am a nail polish fanatic and I was NOT impressed with those. I had a lot of trouble applying Jamberry, too. I wanted to love them but I didn’t. These are so much easier and really apply like a sticker right out the package instead of having to heat them up. The excess also removes much more easily with just your thumbnail or a file. They’re thinner and much more pliable since they’re actually nail polish. I honestly love them. I’m excited to try these via the free samples first. I usually just have my nails natural but I recently got a shellac manicure and while I like the look of having my nails done (I’m a classic red kinda gal) I did not like how thick it made my nails on the tips, oh and don’t get me started on the time and money it took to get it done. How do these compare to the thickness of shellac? Thanks, lady! Thanks for being a continually supportive reader. These are just so easy we wanted to share for anyone interested! I have to agree. Disappointing to see an MLM being promoted, especially when it’s generating income for your employee. It crosses a line. MLMs are notoriously bad for women. I am so excited to try these! A few of the women I work with use these and their nails look amazing!! We work in the medical field. My husbands great grandmother, she has dementia…. commented at Sunday lunch on how old my hands looked 🙄. I am pretty girly, but could never get into doing nails. Now, that all of my kids are in school , I think I can step up my nail game. I am doing this!! It made me feel even better to know that you recommend this. I have to problem with you sharing this with us. I actually appreciate it since I have been wanting to try these and I did not know how to get them. I trust you, I trust TME. I may not agree with all of the political views , but I am a longtime reader since 2012 because of helpful posts such as this one. Thank you!!! I meant to say I have NO problem with you sharing this. No problem!!! Totally support!! Thanks for sharing this! They look amazing! These look so amazing! Thanks! They are just so easy! I love TME, and I wanted to say that I appreciate all of the FREE content you provide on a daily basis. I may not always like the items posted, but I’m not going to complain about what you post. I glean valuable information about sales, trends, products, and even current events. I don’t have time to shop for all of these sales. I don’t like to shop and try on clothes in stores. The fact that you guys do this and send me a free daily post with your finds is amazing. Please don’t change! Even though you provide this free service to your subscribers, you aren’t a non-profit organization. You aren’t doing this because you have nothing better to do. Ok, I don’t really know if those statements are true, but I’m assuming based on how busy I know each of you must be with your families and your other careers. Of course you have to make money doing this! I know things are sponsored. I’m a big girl. If you promote an organization that I don’t like for some reason, I don’t have to buy anything from that organization. I don’t have to stand behind it because you did. I’m sorry people are judging you based on something they are choosing to view. Thank you so much for your support, Jennifer! It is seriously appreciated!